The recent announcement of changes to Equitable Life policy values has stimulated much concern and uncertainty about the most appropriate course of action to recommend to clients. The Countrywide network removed Equitable Life contracts from its recommended product list 12 months before the court case that ultimately caused the issues now being faced. But that does not protect IFAs from giving advice on existing policies. As with all advice, any recommendation should be made in relation to the individual client&#39s objectives, circumstances and risk profile – and must be as objective as possible. Current world economies are putting increased pressure on many life companies&#39 with-profits portfolios. Equitable Life is now a very visible problem but IFAs have a duty of care to all their clients. We must be concerned about other companies with guaranteed annuity issues and perhaps with free assets which are shrinking due to this year&#39s slow but persistent downward market correction. As with many older-style insurance contracts, IFAs and clients are being put in very difficult positions. 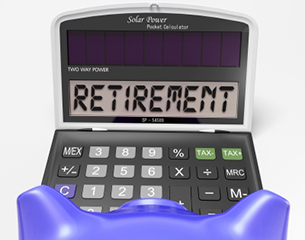 With Equitable pension clients, there has been a suggestion that investors over age 50 should elect to “retire” at this time and transfer their funds to drawdown arrangements before changing their minds so that they have effectively obtained a transfer without suffering the recent headline reduction of 16 per cent. The Countrywide research department&#39s opinion is that if an IFA endorses this in any way, they could be in breach of SIB&#39s core principle of integrity or basic principle of utmost good faith. Essentially, one party to a contract is making deliberately false statements to their contractee with the objective of securing a benefit for themselves at the expense of the other parties. This could even be fraud. We are damned if we do and damned if we don&#39t. From the perspective both of compliance and business best practice, it is vital that any advice is clearly and properly documented and that the client understands the potential implications. Any movement away from Equitable in the interim before the guaranteed annuity problem is sorted out must be seen as a gamble. All the above leads into another buzz issue at the moment for financial service professionals – non-regulated term insurance. It would appear that many people are looking to replace perceived reductions in endowment and pension business with protection business. As Scottish Provident so eloquently puts it, “advice not price” must still be the major driver for IFAs. Yet term insurance falls neatly in between the regulatory cracks. An IFA may have the opinion that the PIA would seek to treat as much of the advice as possible as regulated if a regulated adviser advises on regulated and unregulated products. Legal comment indicates that it is preferable for regulated and non-regulated business to be transacted through separate companies with separate advisers so there is clear differentiation and reduced likelihood of confusing the client. It could be concluded that an adviser authorised by the PIA should treat all business as if it was regulated and not put themselves at risk. This is another area where IFAs should look to operate to the spirit as well as the letter of the law and guidelines laid down. Who said IFAs are not worth what they get paid? Certainly not me and it is important that IFA firms have quality advisers and support networks working with them through the complicated minefield of cross-regulation that we currently exist in. Keep doing qualitative research or buy it in from a source that is highly respected. Keep up excellent client file notes, be objective at all times and remember that a client is for life and not just for a policy sale.